High-spec Platinum Editions of the Cayenne S and Cayenne S Diesel have joined the line-up of Porsche's large SUV. Adding ‘high-quality’ equipment such as 21-inch Sport Edition wheels in Platinum with a satin finish, eight-way leather/Alcantara sports seats have been borrowed from the Cayenne GTS. The Platinum Edition models have a ‘refined yet understated exterior’ says Porsche. In addition to the standard black and white paint, five optional metallic finishes are also available: Jet Black, Mahogany, Purpurite, Carrara White and Rhodium Silver. The exterior package also includes sporty touches in high-gloss black, tinted privacy glass at the rear and wheel arch extensions in the vehicle colour. Bi-Xenon main headlights with the Porsche Dynamic Light System (PDLS) also feature along with Power Steering Plus and front and rear Park-Assist. The automatically dimming interior and exterior mirrors prevent glare from the traffic behind. As you enter the vehicle, "Platinum Edition" lettering is revealed on the front door entry guards of the refined Cayenne S models. All of the outer headrests bear the Porsche crest and the front seats can be heated. 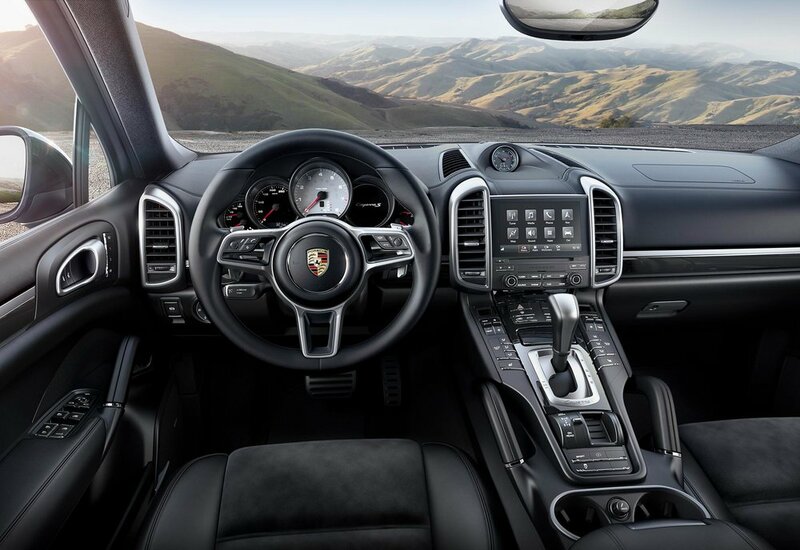 In terms of infotainment, all Platinum models are equipped with Porsche Communication Management (PCM) including Online Navigation, Connect Plus module and the BOSE Surround Sound System, while a sporty analogue clock on the dashboard completes the look. The power and consumption values for the new special models remain the same. The 420-hp 3.6-litre six-cylinder bi-turbo engine in the Cayenne S consumes approx 24mpg, depending on the tyres. The V8 engine with twin turbocharging in the Cayenne S Diesel generates 385 hp and consumes approx 29mpg, again depending on the tyres. Prices for the Cayenne S Platinum Edition start at £64,802 OTR.